An Aussie metal-detector enthusiast was sure he had discovered a piece of rubbish — possibly an old horseshoe — when his device signaled a sizable find in Central Victoria’s storied Golden Triangle last week. 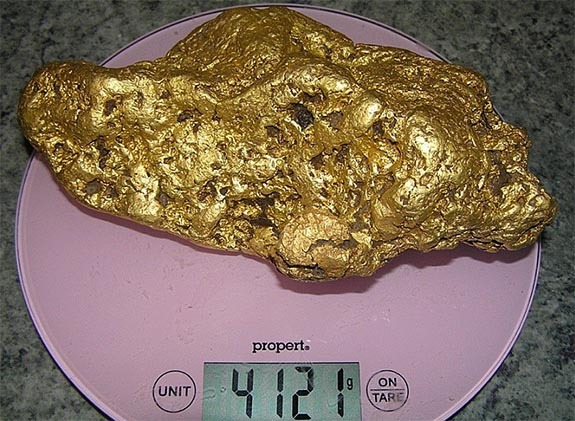 What he pulled from the ground was a 145-ounce (4.12kg) gold nugget worth nearly $200,000. The lucky Aussie named the nugget "Friday's Joy" to honor the day on which it was discovered. Only a day earlier, the same man had found a nine-ounce, near-round gold nugget using his Minelab flagship GPZ 7000 metal detector. Based on that success, he decided to return for more. 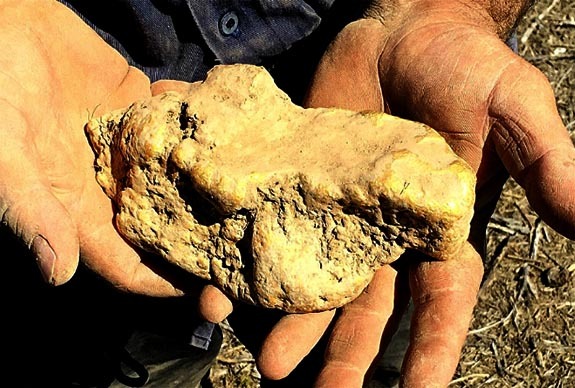 Back in March 2015, we reported on a massive 87-ounce gold nugget that was also discovered in Central Victoria’s Golden Triangle. Metal-detector enthusiast Mick Brown named the nugget "Fair Dinkum," an Aussie term that means “for real.” It had a precious metal value of $102,000, but eventually sold at auction for $175,000. 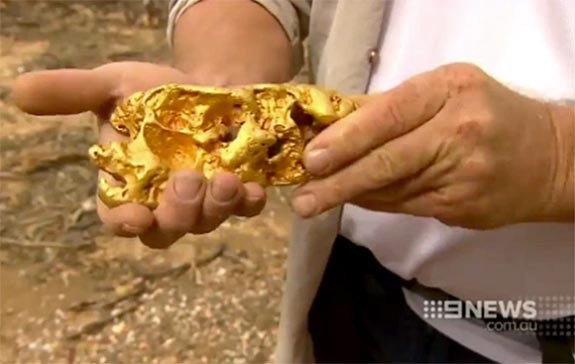 News of these incredible finds has sparked a mini Gold Rush in Central Victoria as weekend warriors are heading out to Victoria's historic goldfields to test their luck. The Sydney Morning Herald reported a business surge for area hotels, restaurants and hardware stores, where amateur prospectors can source their own metal detectors. The area's first Gold Rush period was in the 1850s. "Friday’s Joy" is not the biggest gold nugget ever found in the Land Down Under. That distinction goes to "The Welcome Stranger," which was discovered near Moliagul, Victoria, in 1869. That nugget weighed a staggering 2,300 ounces (143.75 pounds) and would have a precious metal value today of more than $3 million. After finding the nugget during a prospecting outing with some friends, the anonymous owner of "Friday's Joy" really didn't know what to do with his miraculous find. “It’s like catching a big fish and not knowing what to do with it! Where do we put it? I washed it in water, covered it in aluminum foil and kept it in my oven on the first night,” he reportedly said. "Friday’s Joy" is now sitting safely in a bank vault while the owner is having a replica made. Despite the huge windfall, the anonymous prospector has no plans of quitting his job or retiring, according to reports. Instead, he'll invest some of the proceeds in a new van so he can spend more time traveling across Australia, mixing sightseeing excursions and gold prospecting along the way. Credits: Friday's Joy images courtesy of Minelab. Screen capture of Fair Dinkum via 9NEWS, Australia.